This spicy-orange, glazed, pork tenderloin recipe is so easy and quick it will become one of your favorites. I served it with roasted carrots. Here’s a suggestion: make enough glaze to use on the carrots too. 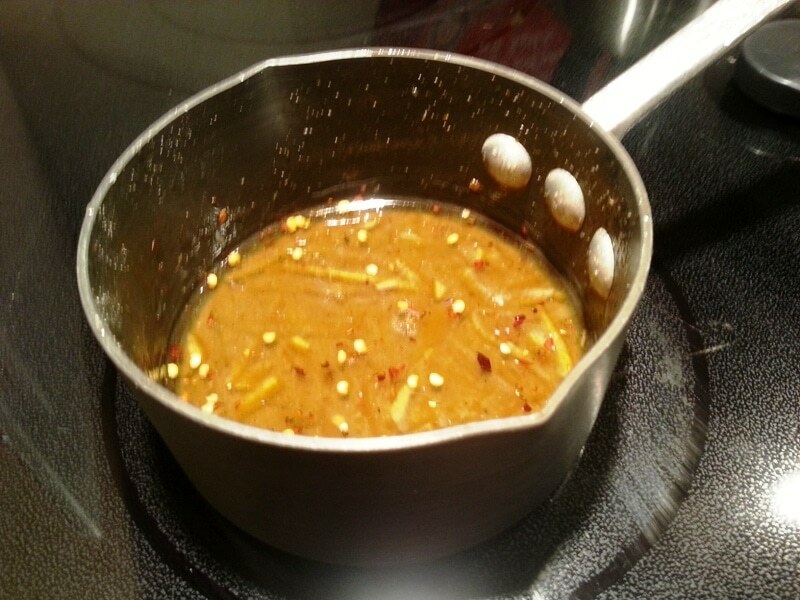 To make the glaze you mix together the marmalade, lemon juice, red pepper flakes, and cumin in a small saucepan. Melt the ingredients together, but don’t over heat or boil. 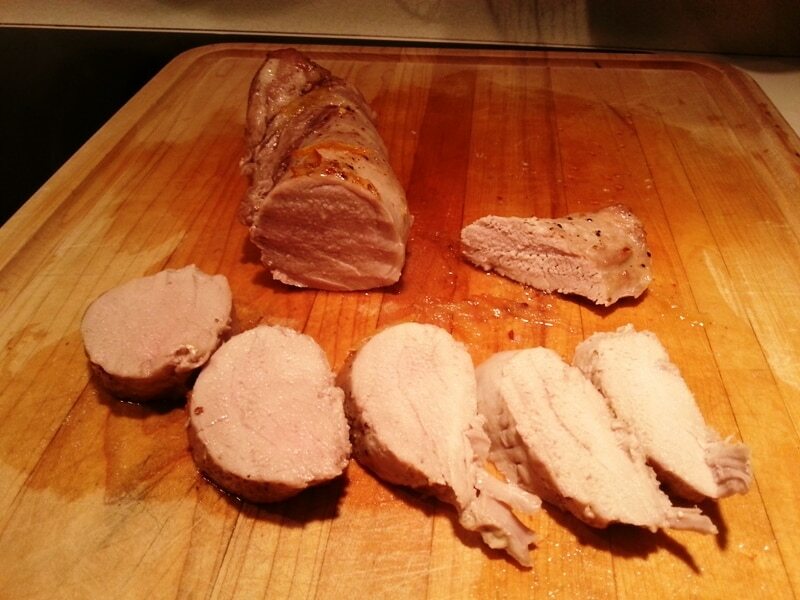 Roast the pork tenderloin until the internal temperature reaches 150°F. 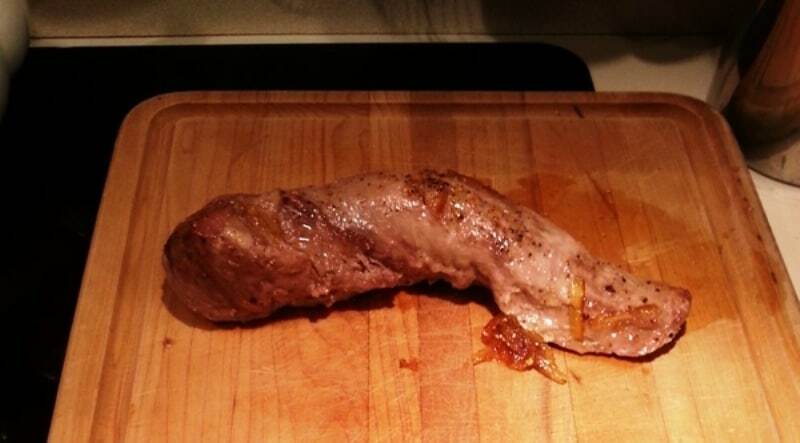 As with all meat, it’s important to let the tenderloin rest before you carve it. 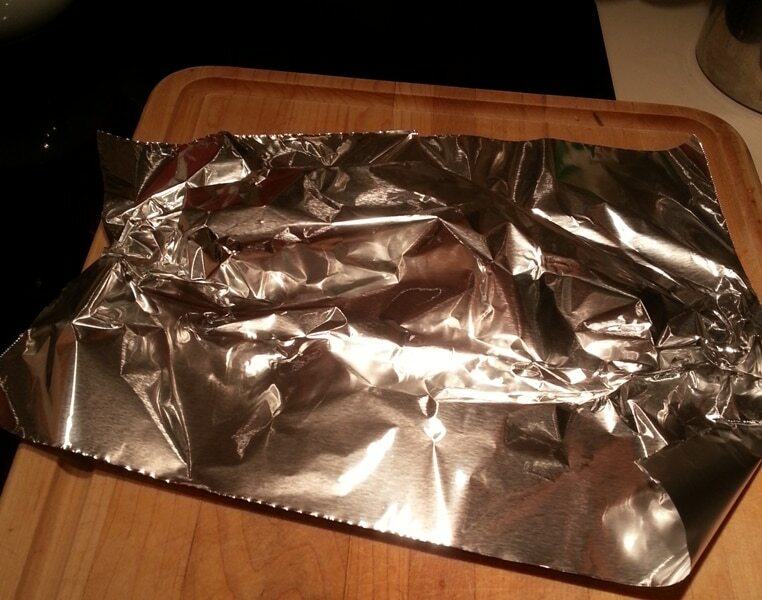 Cover it with foil and let it rest for at least 5 minutes. At the internal temperature of 150° it should be slightly pink, and medium-rare. Also, feel free to substitute any jam or jelly. Raspberry jam or even red pepper jelly would be delicious. 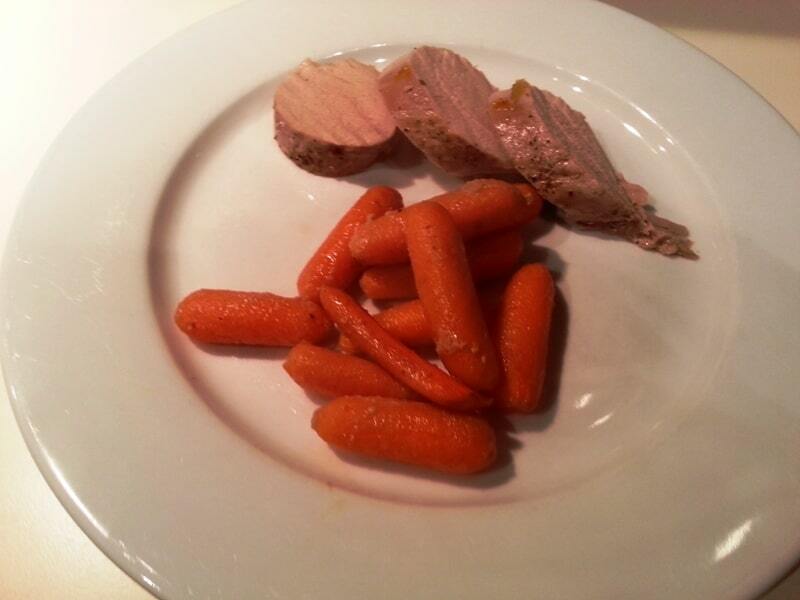 This is an easy recipe for a pork tenderloin with a spicy orange glaze made with marmalade and lemon juice. Pork: Pre-heat the oven to 400°F. Place the pork in a shallow baking dish. Season with garlic powder, salt and black pepper. Let pork sit at room temperature for 20 minutes while the oven is pre-heating. Glaze: In a small saucepan, mix together the marmalade, lemon juice, red pepper flakes, and cumin. Warm the glaze ingredients, stirring constantly, until all ingredients are melted together. Do not over-heat or boil. Place in pre-heated oven and roast for 20 minutes. Remove the pork from the oven and spread evenly with the glaze mixture. 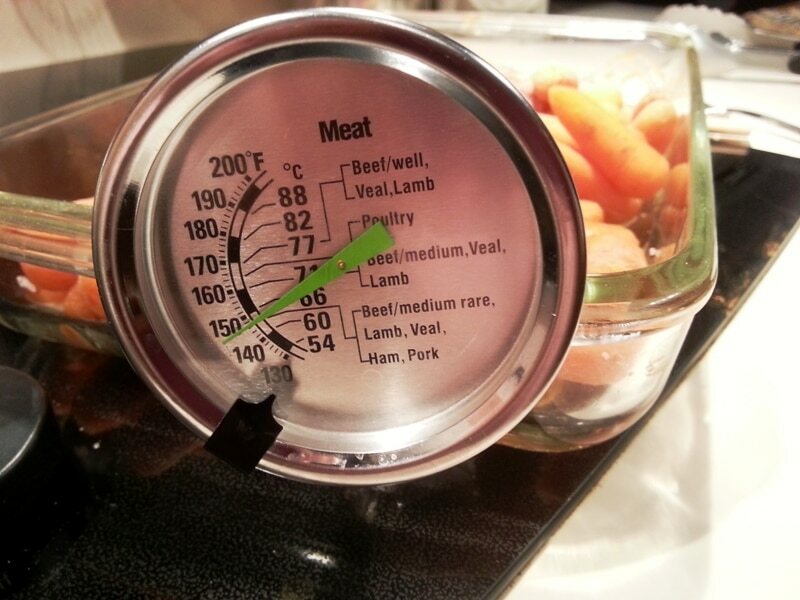 Return the pork to the oven and roast for another 5 to 10 minutes, or until internal temperature reaches 150°F.